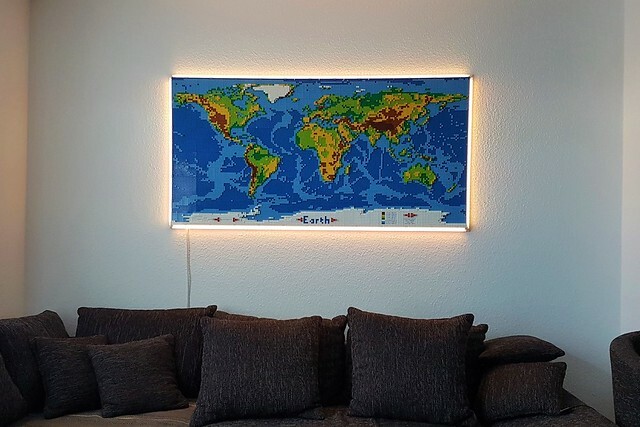 When faced with what to put on the wall of his living room, builder Dirkb86 (with the encouragement of his wife) decided on a world map. 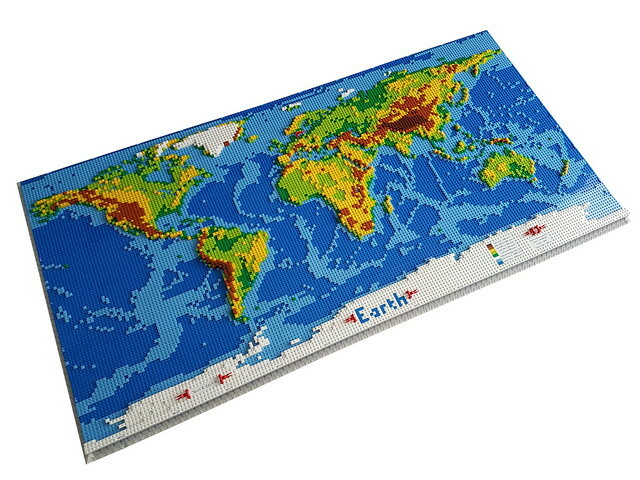 And not just any world map, but this majestic relief map of our tiny blue marble. 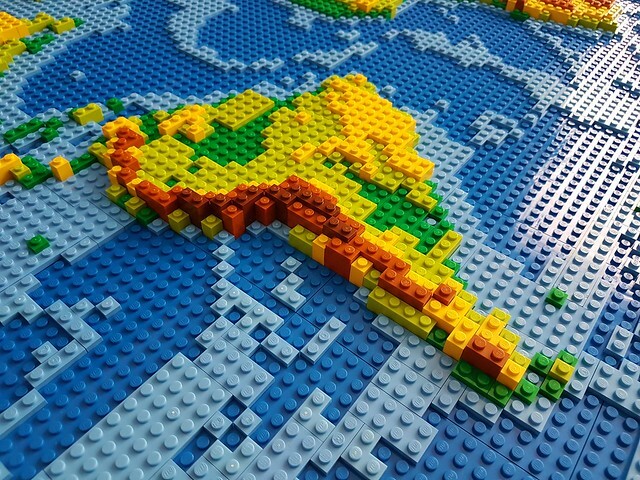 These few pictures really don't do the project justice, you can see tons more pictures and read the story of it's creation over on MOCpages.